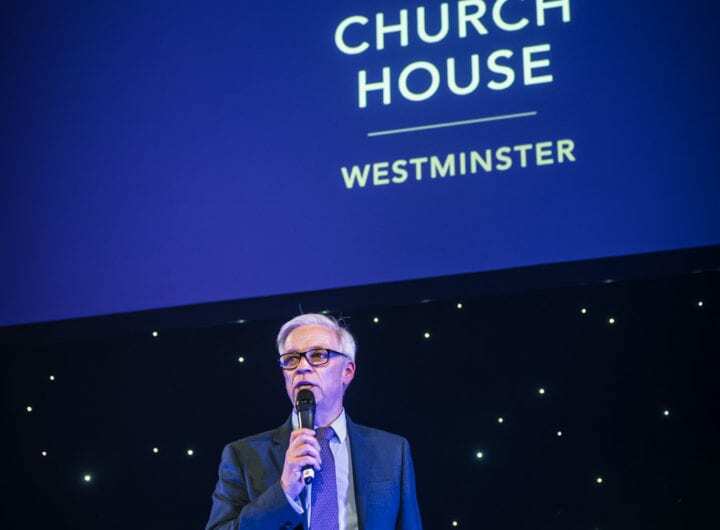 Posted in Entertainment, Events, Investments & RenovationTagged Audio Visual, conference venues westminster, Entertainment, Technology, Venue investmentsLeave a Comment on Church House Westminster invests in the future! The Clubhouse, London’s leading business club and meeting space has opened a new flagship site on St. James’s Square, one of London’s most prestigious garden squares and one of the Capital’s most prominent businesses addresses. The brand new building at 8 St James’s Square was designed by renowned architect Eric Parry and sits on a site that was once home to Josiah Wedgwood, founder of Wedgwood Pottery. With an interior designed to a high specification the space redefines the concept of flexible working and boasts a stylish members’ club feel. The new Clubhouse has been designed around the needs of its members and offers a unique, sophisticated and flexible meeting and work space tailored to the needs of today’s entrepreneurs and growing businesses. Home to businesses of all shapes and sizes and across all industry sectors, The Clubhouse offers a range of individually designed meeting rooms, hot desks, lounge areas, dedicated desks, flexible meeting areas, a Club deli, event spaces and conference facilities for up to 80 delegates. In addition, The Clubhouse has launched its first innovation hub with a fully interactive video wall in partnership with MultiTaction. For more information or to enquire about your next event click here. Cavendish Conference Centre is hosting a special evening on Thursday 1st October 2015 to let you experience the venue in a light you’ll never before have seen. Corporate event bookers are invited to register now to secure your place. Email hadleigh@cavendishvenues.co.uk and join the conversation on twitter via hashtag #CavShowcase15. The Oxford Circus venue, which scooped the title ‘Best Conference Venue Customer Service’ at the recent Conference Awards 2015, has invested in new technology and updated furnishings in both The Auditorium and the Whittington Suite, which is an ideal space for product launches and AGMs for up to 250 guests. The venue has already welcomed the likes of Blackberry and the Royal Television Society within the newly refurbished spaces. Discover more about Cavendish Conference Centre here. Central Hall Westminster‘s next ‘Meet The Future‘ event technology conference on 9th June will feature Corbin Ball, writer and specialist with 20 years’ event technology experience, Neuroscientist Dr Beau Lotto and BBC technology journalist Kate Russell, while the rest of the day’s content line-up will be entirely crowd-sourced by delegates. As part of the registration process, delegates must choose the topics they would most like to see covered in breakout sessions, with the most popular choices forming the basis of the agenda. The leading topics are currently audience engagement, location-based technology (iBeacons, NFC and RFID) and big data. Cavendish Conference Centre is now able to offer its delegates free superfast broadband throughout its Oxford Circus site. The centre can offer synchronised upload and download speeds of 50mgb, scalable beyond that on request, with industry leading SLAs. Internally the lines are backed up with two alternative business quality ADSL lines with separate providers for full resilience. This is an investment into the centre’s facilities, designed to improve the on-site experience for all delegates using the facilities for meetings, training events, conferences and team building. With 8 rooms available in the centre for capacities up to 250, Cavendish has something to suit every professional conference & event organiser. The events industry is talking ‘apps’ but are your questions answered? What is the service scope of event apps? Which one is right for your events? What is the actual cost of an event app? … and most importantly…usage. How do you drive engagement successfully? Central Hall Westminster’s expert panel will include 3 event app providers (servicing low, medium to high end market segments), an engagement specialist and representatives from the industry. The session will give you a solid understanding of the opportunities/challenges involved to enhance the event experience through apps, covering practical questions, feasibility, shared best practice and more. Join this free webinar online at 9am on Thursday 5th February and get a head start to ‘tech-proof’ your future events.